The reviewer received a sample of this product from the brand or its representatives in exchange for a review. Outdoor Vitals' StormLoft 15 Down UnderQuilt combines lightweight components with certified 800+ down, making it one of the most efficient under quilts on the market. The StormLoft 15 Down UnderQuilt is lightweight. The cost is incredibly low for such a warm product. It packs down to the size of a football. The suspensions system can be tricky to set up efficiently for the first few tries. The length of this under quilt felt shorter than marketed. Hammock Camping isn't for the faint-of-heart. While tents are generally simple to pitch, hammocks involve a tremendous growth-curve. 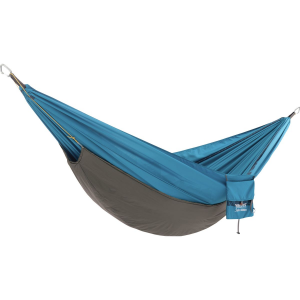 However, Outdoor Vitals' StormLoft 15 Down UnderQuilt makes moderating your sleeping temperature easy. Paired with a Hennessy Hammock, this setup is nearly unstoppable. As a DWR coated product, the StormLoft is water resistant. After a few months of use, this quilt shows no signs of wear. I'm confident in its construction and durability. 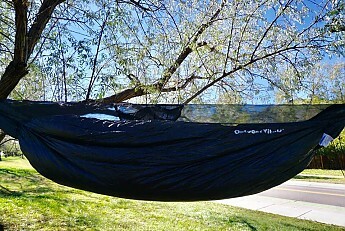 You can make adjustments to this underquilt while you're inside of your hammock, which isn't always the case. This underquilt is more likely to make you sweat than shiver. How does the StormLoft compare to other products? Competitive Products range from $200-329, and 12.5 oz to 2.5lbs, making the StormLoft quite competitive in terms of both cost and weight. Hyke and Bykes' Antero 15 Degree UnderQuilt costs $329 and weighs 2.49lbs. 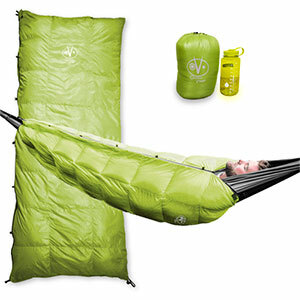 WarBonnets' 20 Degree Yeti Underquilt costs $200 and weighs a stunning 12.5oz. 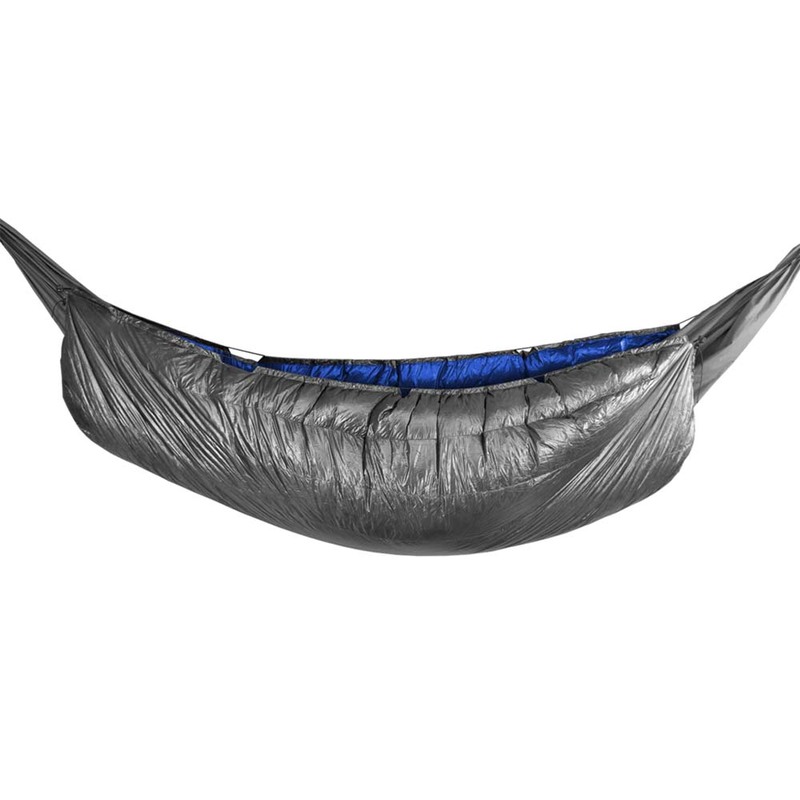 Outdoor Vitals' StormLoft 15 Degree UnderQuilt costs $214 and weighs 1.47lbs. 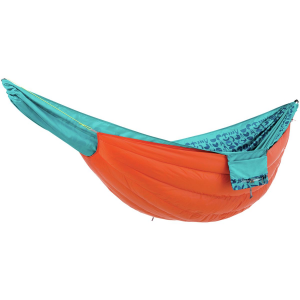 If you're not interested in getting seriously into backpacking or camping, there are simpler sleep systems. But if you're not intimidated by the hammock learning curve, the StormLoft under quilt does a terrific job of helping you retain warmth. Outdoor Vitals does a terrific job of providing quality products. Overall, Outdoor Vitals' 15 degree StormLoft performed impressively well in the backcountry. 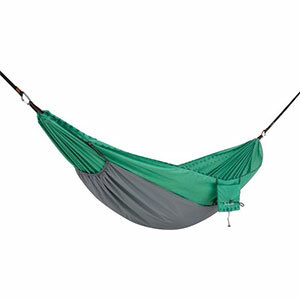 I spent a few months testing this under quilt in Colorado's backcountry on various backpacking trips. Temperatures ranged from the low 30s to the mid 40s. I typically sleep really cold, and this quilt never disappointed me in terms of warmth. Conditions were dry. While this is my first under quilt, I'm an experienced hammocker. 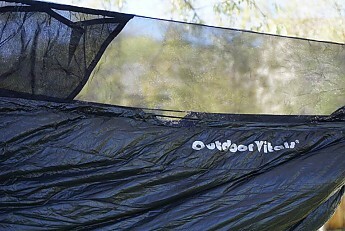 The Outdoor Vitals StormLoft 15 Down Underquilt is not available from the stores we monitor.